The origin of materials and waste flows play an important role in the work of Diederik Schneemann. The designer’s latest conceptual project, in collaboration with photographer Aldwin van Krimpen. Rubdish is a transformation of Rotterdam waste that finds its way back to your plate. Two ‘rubdish chefs’ serve us tempting dishes that make us think. 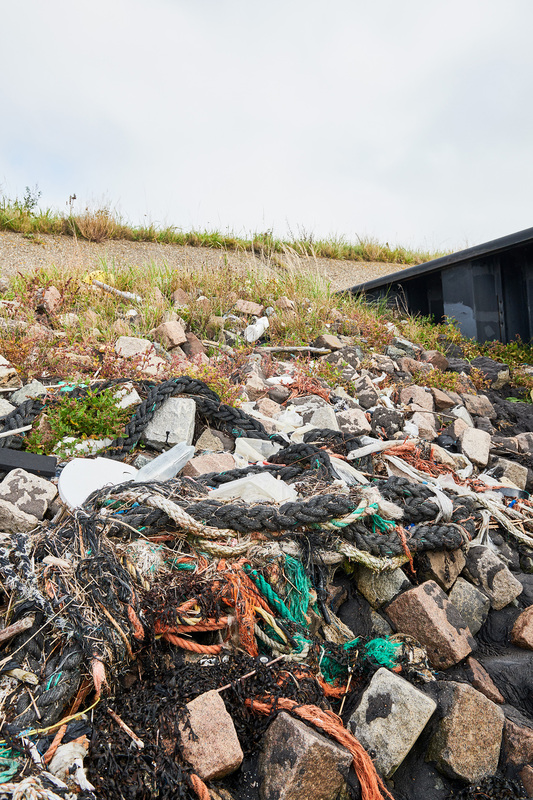 A designer like Diederik Schneemann also has a creative brain that finds solutions for our mountain of waste. He gives a twist to the negative connotation that sticks to waste by shedding light on the possibilities and beauty of the material. To reinforce the intended image, he asked photographer Aldwin van Krimpen, whom he knew for, among other things, his beautifully stylized food photography. Together they wandered through Rotterdam like beachcombers looking for ingredients for their dishes. In particular from sections of no man’s land like crash barriers and the banks of the 2nd Maasvlakte, but also from waste bins on Metro platforms or skips, they collected garbage bags full of rubbish. They sorted food packaging, wrappers, PET bottles, cola cans, and frayed pieces of polypropylene rope. Waste with a story, like an opened ‘water emergency bag’. Does the bag come from a refugee boat, from someone in need? And will there be more little plastic balls than sand grains on the 2nd Maasvlakte in the near future? Mise en place the waste was polished, planed, melted, and processed into dishes that will premiere in the Future Dome in Milan. The presentation resembles a pop-up five star restaurant where the designer and the photographer serve tasty dishes on floating tables with white starched table linen. 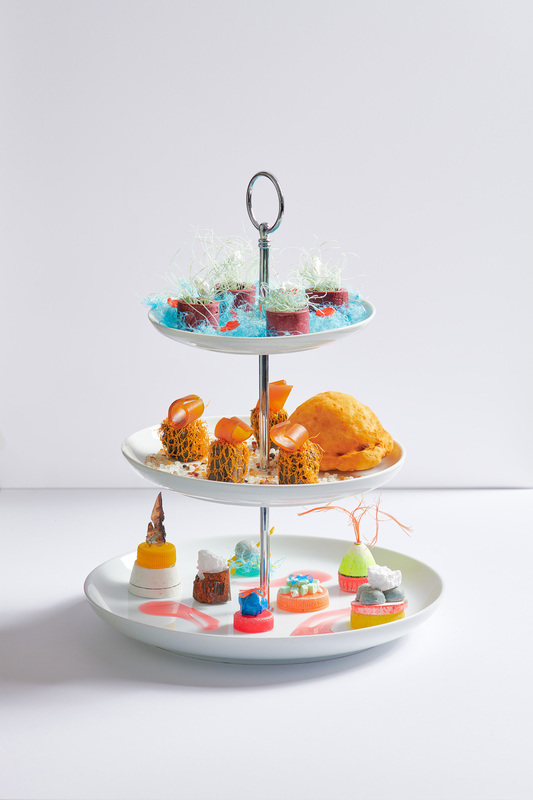 The Rubdish menu consists of an arty nouvelle cuisine dish, an étagère with desirable chocolates, an attractive ice cream coupe, and a main course with a disassembled and styled vacuum cleaner in strange colour combinations. 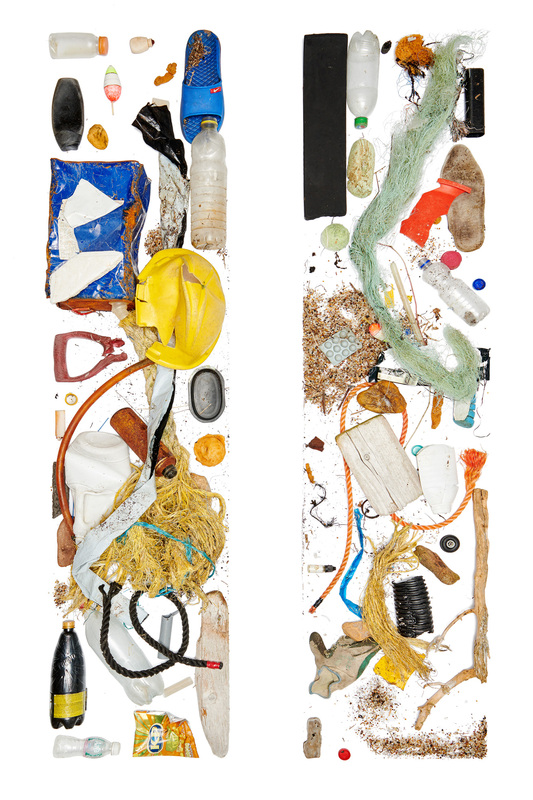 The perfectly composed waste finds are portrayed in an artistic and graphic manner in the same attractive style. For example, each of the approximately twelve dishes consists of a triptych: a photograph of the location where the waste was ‘harvested’, one of the waste as an artwork of ingredients, and a final photo of the actual dish. The designer’s other projects also tell of the origins of materials and products, which he gives a new life and a new story. The idealistic social recycling project A Flip Flop story, with which he became known in Milan in 2011, also deals with waste flows. In this project, the designer demonstrated that you can make gallery objects and commercial products from the 30,000 kilos of plastic slippers that wash up on the beaches of Africa every year (detail: mostly traditional pink and blue). The design objects were sold at Polls Potten design shop. In that way, they supported the local community in Senegal, where craftsmen produced design products from washed-up slippers. In 2013, Schneemann presented 3D printed Mash-ups. With the 3D printing techniques that were rapidly evolving at the time, he produced new designs with elements of design icons, such as a lamp from forged fragments of Luigi de Ponti’s Bialetti percolator, the Peugeot pepper mill, the bird of Michael Graves’ whistling kettle for Alessi, and an ear from Richard Huttens Domoor cup. A project that raises questions about the meaning of copyright in combination with 3D printing. And now with Rubdish, Schneemann and Van Krimpen want to show interesting and attractive dishes that are compiled in the Rotterdam Rubdish Cookbook, and will hopefully also find their way into galleries and private collections or lead to new exhibitions elsewhere.